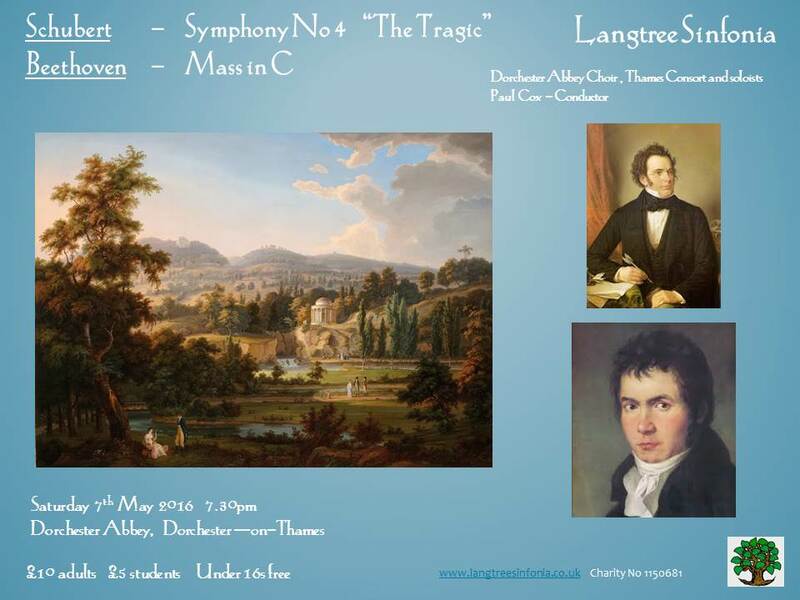 Langtree Sinfonia is an amateur orchestra which meets at Langtree School, Woodcote, on the borders of Oxfordshire and Berkshire. Our musical director is Paul Cox. Many members have either started playing as adults, or have taken up their instruments again, having learned as children. The orchestra has about 30 registered members, although extra players are co-opted when needed for bigger works. Concerts are given twice a year – a classical programme in November and a more ambitious romantic event in May or June. Concerts are held at churches in various locations including Wallingford, Henley, Abingdon and Caversham. In addition a full day’s workshop is held in February or March. At the end of the autumn and summer terms we usually hold a social event for families and Friends of the Orchestra, which includes a short performance. If you play an orchestral instrument and would be interested in joining the Orchestra, or would like further information, please click here for details. Auditions are not required. Paul has been resident conductor of the Langtree Sinfonia for many years. He has conducted a wide range of orchestras and choirs – professional, youth and amateur. Locally these include the Reading University Orchestra and the Berkshire Youth String Orchestra, with whom he won first prize at the Youth and Music Festival in Vienna. 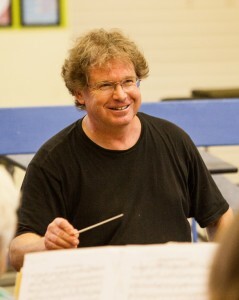 He conducts Reading Youth Orchestra and the Isis Orchestra, Oxford. As a cellist, he has given numerous concerto and recital performances and has broadcast on the radio. He played as soloist in the Beethoven Triple Concerto with the St. Petersburg Philharmonic Orchestra in Germany. Paul was cellist in the Franke Piano Quintet, performing a number of World Premiers including the completion of the Grieg Quintet in the version by Michael Finnissy. He was Head of Strings at the University of Southampton and is Chair of the Eureka! Foundation which runs both instrumental and choral ensembles, promotes music events and raises money for community groups. He was specialist string mentor for the MA in Music Teaching in Professional Practice at the University of Reading and has moved to be Head of Quality Assurance at the MTB Examinations Board. He is Head of Adult Performance Courses at the Oxford Cello School. Melissa studied Music at the University of Reading where she played in the Orchestra and was leader of the Chamber Orchestra. She then studied at Bournemouth University where she completed a post graduate Diploma in Composing for the Screen and an MA in Post Production and Sound Design.